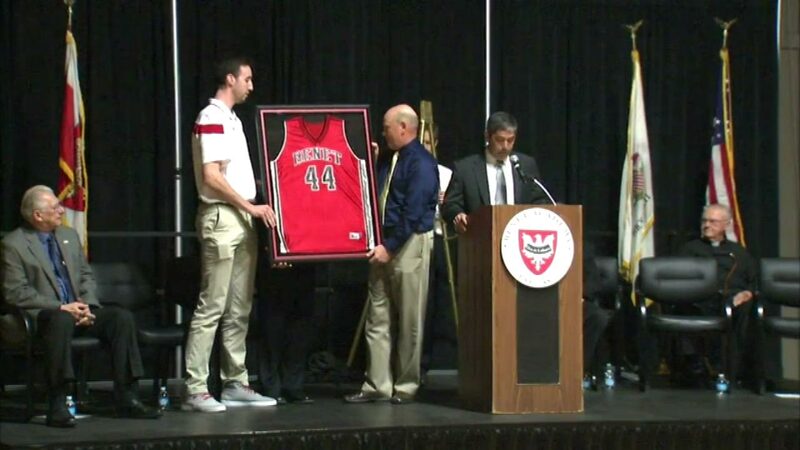 LISLE, Ill. (WLS) -- College basketball's player of the year, Wisconsin's Frank "The Tank" Kaminsky, will have his number 44 jersey retired by his high school, Benet Academy in Lisle. Kaminsky is also the John Wooden Award winner and the Kareem Abdul Jabbar Center of the Year Award recipient. The mayor of Lisle has also proclaimed April 16 as Frank Kaminsky day in that village.